Award season buzz may have re-sparked an obsession with Jackie Kennedy Onassis's iconic look, but truth be told her style has never really fallen out of favor. The former first lady is remembered for her pillbox hats and ladylike suits from her time in the White House, but through the '60s and '70s, she continued to inspire with feminine yet relaxed sensibilities. 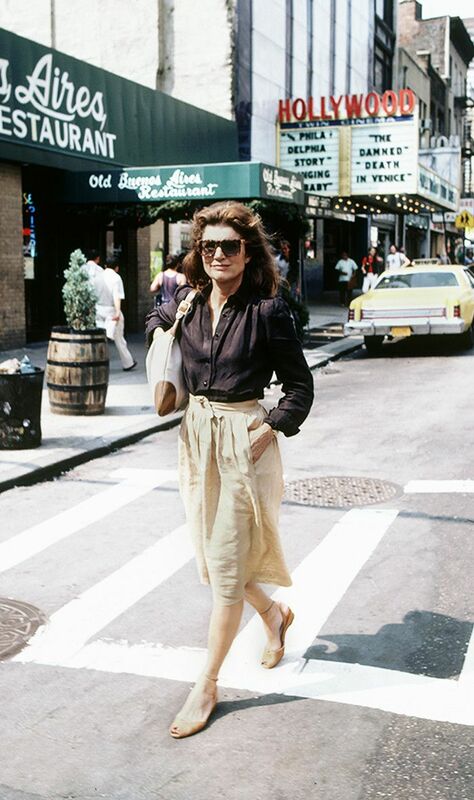 As fashion has come full circle, there seems to be a resurgence in pieces we can easily imagine Jackie wearing then but happen to look just as good in the current era. To show you exactly what we mean, we rounded up a few of our favorite items that we envision Jackie O would have on hand in 2017. The mix of preppy and Bohemian-inspired pieces are an easy way to channel the timeless icon's style today. 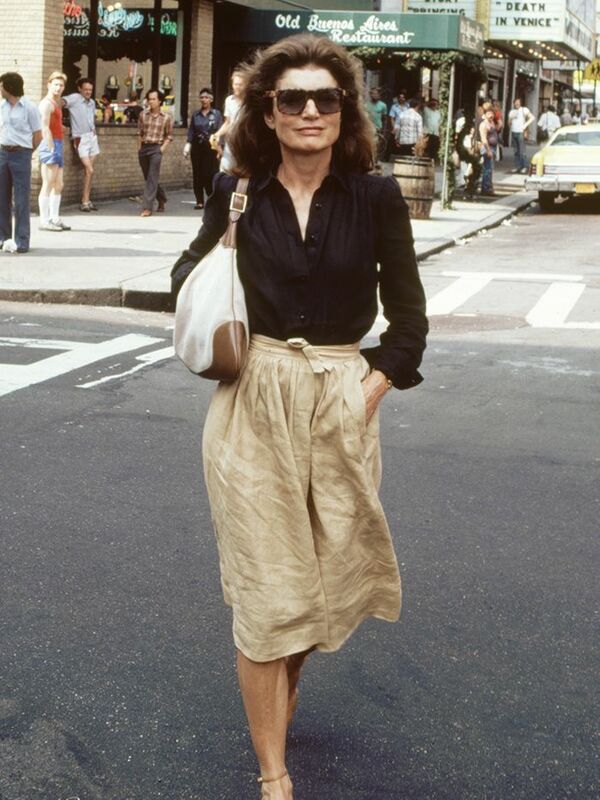 Read on to shop the pieces Jackie O would wear now! 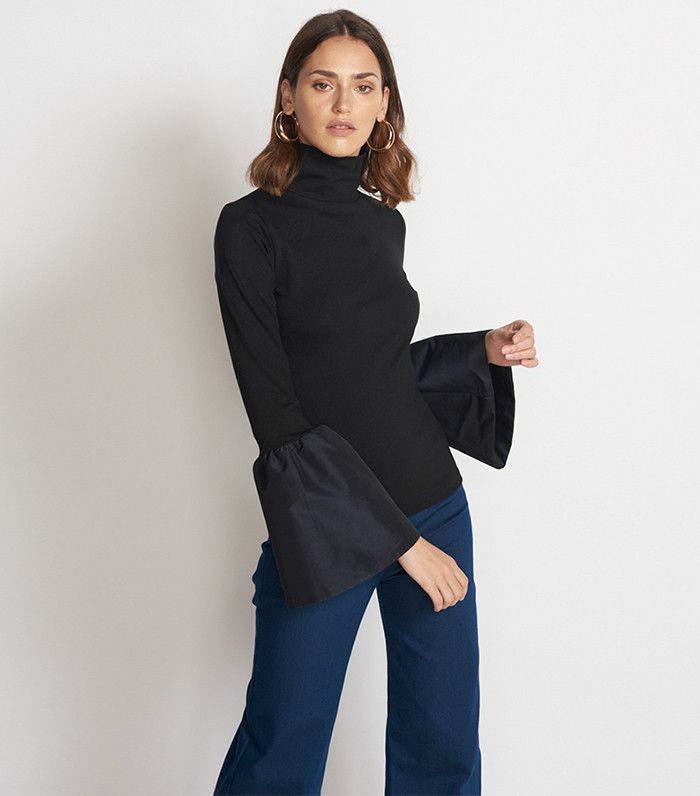 With this season's ever-popular statement sleeve, it's easy to have a Jackie-inspired moment all your own. Pair a statement miniskirt with sophisticated slides for a modern take on Jackie's off-duty style. Jackie's affinity for scarves would easily translate into today. The formalwear of the 50s becomes structured chic pieces in 2017. Classic cigarette pants never go out of style. Try a simple shift with a 60s vibe. Make a statement in retro-inspired sunglasses. A modern take on ladylike dressing. A front tie detail gives a white button-down a more feminine spin. Pair the style with a skirt for a Jackie-inspired take on the look. A pink coat has a classic Jackie feel but will work just as well with your favorite jeans and tee. Feminine slides are an easy way to channel the style icon's look. A little leopard looks good, no matter the era. Channel the former first lady's vacation style with a playful wrap dress. A throwback block heel is comfortable and chic. In need of more retro inspiration? Here's what Audrey Hepburn would buy from Zara!